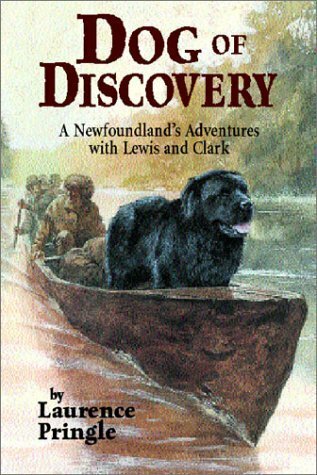 Almost twenty years ago I became aware that a Newfoundland dog had accompanied the Lewis and Clark Expedition. I thought: "A good idea for a book." As the 200th year celebration of the expedition neared, I sought a publishing contract for such a book, and signed one. Only then did I begin to dig deeply into the story of the dog's role in this great American adventure. Only then did I learn that the dog is mentioned infrequently in the explorers' journals. He is not mentioned at all for an eight-month period! So I had a choice: write a very short book that focused on the known actions of the dog, or write a much longer book about the whole expedition, focusing on the dog whenever possible. I chose the latter, partly because I then had an excellent reason to read every page of the richly-detailed journals of this expedition. As usual, I enjoyed the research more than I did the writing. As the expedition proceeded and my completed pages piled up, I wondered how I would end the book. No one knew what happened to the dog, Seaman. There is no mention of him in the journals after July 15, 1806, during the expedition's return from the Pacific. In fact, there was speculation that he had been abandoned in the far West, after Lewis had a deadly encounter with Blackfeet Indians. Not one shred of evidence had been found by historians about the fate of Seaman. While I thought about this, the publisher with which I had the contract went out of business. I eventually found another publisher. The book was delayed, but that was a good thing because--in February 2000--a historian announced the first evidence ever discovered about what happened to Seaman. So I was able to write what is likely a true ending for Dog of Discovery. I won't say what happened; you'll have to read the book! But I will add what Newfoundland owners say: they are amazingly loyal dogs, and probably would do what Seaman did.